Dr. Sinicropi attended the prestigious Columbia University College of Physicians & Surgeons Medical School and then completed a combined Research/Clinical Residency at Columbia University’s Presbyterian Hospital. 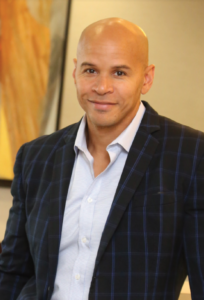 Following residency he sub-specialized in Spinal Surgery through successful completion of the Kenton D. Leatherman Spinal Fellowship at the University of Louisville, where he trained with some of the most well-respected Neurosurgeons and Orthopedic spinal surgeons in the United States. 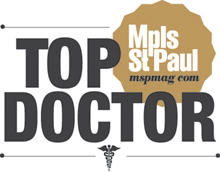 Dr. Sinicropi has one of the largest and most successful practices in Minnesota because of his reputation of giving the patient REAL ANSWERS to even the most diagnostically challenging patients. 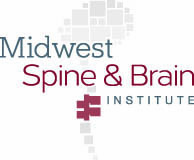 Patients who are told that they need spinal surgery often travel to see Dr. Sinicropi to see if there is another potentially less invasive option for them. 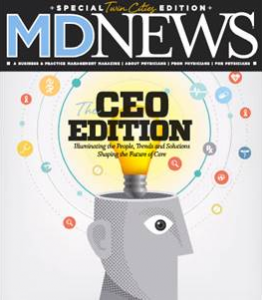 Patients who have been told “there is nothing we can do” having sometimes endured years of treatments and incorrect diagnosis are often relieved to hear that there is a solution to their condition. To learn more stories from some of Dr. Sinicropi’s patients, visit our Patient Testimonials page. 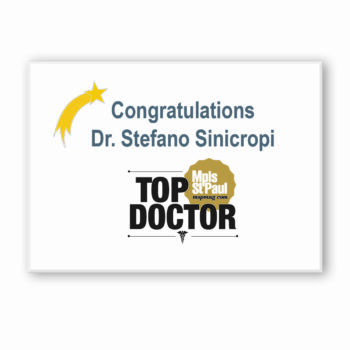 Read about Dr. Sinicropi’s various Awards & Recognitions and his appearances in the news.